The goal of this project was to connect the City of Warren to the Conner Creek Greenway at Outer Drive, east of Van Dyke in the City of Detroit. 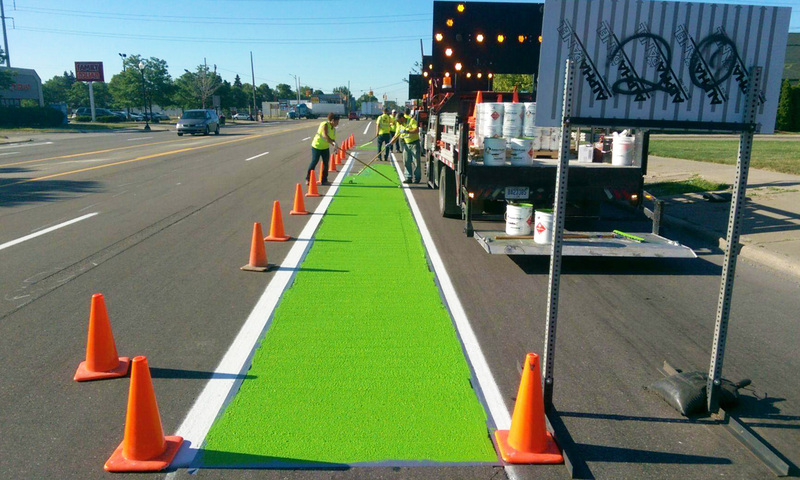 This project involved creating 2.40 miles of dedicated bike lanes on Van Dyke from Stephens (City of Warren) to Outer Drive (City of Detroit). Shared bike lanes were created on Outer Drive from Van Dyke to the Conner Creek Trail. Decorative stamped concrete pedestrian crossings were added at 8 Mile Road and Van Dyke, as well as landscaping within the 8 Mile Road medians east and west of Van Dyke to enhance the design and promote pedestrian safety. Sidewalk ramps along the route were upgraded to meet ADA requirements. The design portion of this project was accomplished through a Greenways Initiative Grant for connectivity of non-motorized paths, and the construction was funded through a Transportation Alternatives Program grant. Local match was provided through a collaborative effort of the City of Warren, 8 Mile Boulevard Association and the Detroit Eastside Community Collaborative (DECC).